I might be one of the last people in the US, if not the world, to finally pick up a Dennis Lehane novel, though they do appear to be everywhere when you start looking for them. 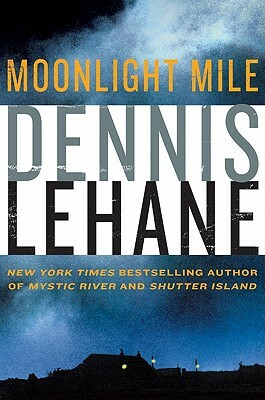 Gone, Baby, Gone - like Mystic River and Shutter Island - is yet another popular novel-made-movie from Lehane, and Moonlight Mile is the recently released sequel to it. Set firmly in New England, Gone, Baby, Gone is a quirky, funny, riveting mystery set around the disappearance of a local girl. Her mother is an alcoholic, a drug addict, generally neglectful and hateful woman; her aunt and uncle lead the search for the missing girl. With virtually no clues, the child seems to have literally vanished into thin air. Against their better judgment, detective team Patrick Kenzie and Angela Gennaro take on the case, ultimately risking their lives, their reputations, and their relationship to locate a missing child whom not too many seem keen to find. Moonlight Mile does not leave the precious Boston landscape that so marks Lehane as an author; the second novel continues the story of Patrick and Angie, and yes, the missing girl, too. This time the detectives are drawn into a hectic world of teenagers and the Russian mob, gun dealers and drug dealers, while facing their own difficulties with raising a daughter, making ends meet, and struggling to identify what kind of life they want to lead. Both novels, narrated by Patrick Kenzie, carry a strong, wry, cynical and often witty voice. Consistent throughout, Kenzie is still a surprising character, with a strong backstory that leaks through into his motivations and actions and interpretations of events. This consistency never bores, however; Lehane keeps the novels moving at a fast, if not clipped, pace, and alternates between often humorous dialog and observations and stark, brutally honest commentaries on human nature and the constant pain we inflict upon one another. As I mentioned earlier, Lehane's sense of place seeps through in every page of both novels - and, from brief research, in most of his writing. He is a New England author through-and-through, alluding to the nuances and delicacies of Boston life as only someone who knows them himself could do. This setting, like each character's well-developed backstory, is a key factor in motivations and interpretations of every bit of plot development. Bottom line: Lehane is a criminally-minded genius of sorts, pulling together the best aspects of crime writing and fiction and dialog to create powerful, thoughtful pageturners as no one else I've witnessed can. 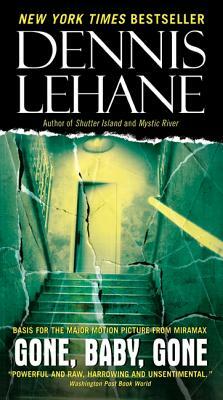 Those who appreciate a good mystery novel will definitely want to explore Lehane's collection - both these titles and others - and those who generally steer away from the genre (like yours truly) will still find themselves captivated by the wit, insight and purely good writing found in these pages. Sometimes it's good to go beyond our boundaries, after all - especially when Dennis Lehane is lying on the other side waiting to whisk us into an ever-moving story. Note: Thanks to Kimberly Chocolaad at William Morrow, of HarperCollins, for the review copy of Moonlight Mile. Gone, Baby, Gone I purchased for myself at the airport when I ran out of reading material. Glad to hear I'm not the only latecomer to Lehane's novels. I definitely recommend, though, even to those readers (like myself) who are usually not into the mystery genre.